"Dr. Auerbach simply the best! He's my coach." "Dr. Auerbach was fantastic - So attentive & thorough! Would highly recommend him!" "The care provider was very thorough." "Dr. Auerbach took me seriously, had a real conversation with me, and followed up via email with my results. I am very grateful for his attentiveness. " "Wonderful doctor. #9. 1000%. " "Excellent bedside manner - Loved this doctor - he's kind - very understanding of all my concerns. He was recommended by a staff nurse, and can see why, Dr. Auerbach is a prince of a doctor." "Dr. Auerbach is an ace! Top shelf!" "Very professional - He took time to explain or educated me -"
"dr Auerbach is great. Reaching him is not so easy. Complete confidence in Dr Auerbach and his staff"
"I'm very happy with care." "Excellent visit as always with Dr. Auerbach. He always alleviates any concerns and makes me feel better!" "Again, no problem with physician "provider."" "Dr. Auerbach is a very caring doctor. He is extremely thorough. Takes the time to address any concerns and explains everything very well." "Dr. Auerbach is an excellent physician. " "I find Dr Auerbach to be a fine doctor,friendly,caring and informative.Highly responsive and a pleasure to deal with." "Excellent doctor. Very patient. Listens to you, answers all questions. Makes you feel very comfortable." "Dr. Auerbach is great & instills much confidence. A wonderful doctor." "Always such a pleasure! This physician is top RATE!! He is so personable & empathetic." "Excellent provider, I wouldn't trust anyone else with my cardiac condition." "Dr. Auerbach is an outstanding cardiologist as well as a kind and caring physician." "Dr. Auerbach is very knowledgeable caring, informative & answers any & all questions we ask - He is terrific would recommend him to anyone." "This was my 1st visit to this dr. & I was very impressed. " "Dr. Auerbach is terrific! So understanding & helpful. I wish all my MD's were like him! A gold star!! 1-2. Excellent. " "Dr. Auerbach is the kind of doctor if you are having a problem with your heart he's the one to call. The best in every way. He really want you to live. After you get old people don't care." "Dr. Auebach is an excellent doctor." "have already recommended Dr. Auerbach to my brother-in-law, successfully. Dr. Auerbach, who looks so young, is mature well-beyond his youthful looks. he has terrific, professional "bedside manners," which is most appreciated by me. I wish all the medical people I see were more like Dr. A. he is certainly an asset and role-model to his peers." 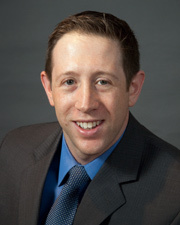 "Dr. Adam Auerbach is an excellent doctor - He really takes his time & dedication with all his pts." "Mr entire experience with Dr. Auerbach was very satisfactory. No complaints. I was treated in a friendly, respectful and timely manner and the doctor spent as much time as I needed and answered all my questions." "I think Dr. Auerbach is one of the greatest, I have a lot of confidence in him." "Dr Auerbach was thoughtful and caring. He took the time to provide detailed explanations and went out of his way to be accomodating. He returned calls during and after office hours to keep me abreast of my status. I was knowledgeable and thorough. I highly recommend him." "Dr. Auerbach is the best cardiologist in my book. I'll recommend to everyone; friends/family." "1st meeting with this doctor he really was very nice and took this time with me." "A well-informed - friendly and kind doctor." "Dr. Auerbach explained everything clearly & has compassion for his patient." "Listened attentively and then presented research findings to support his answers and recommendations." "Dr. Auerbach is the most dedicated, respectful and competent cardiologist I know and would recommend him to my family/friends without hesitation." "My background is engineering & I like to understand a problem thoroughly to be able to make decisions - all questions answered." "Dr. was friendly and forth coming about my condition & treatment." "After my experience with Dr. Auerbach in the hospital, he became my cardiologist!" 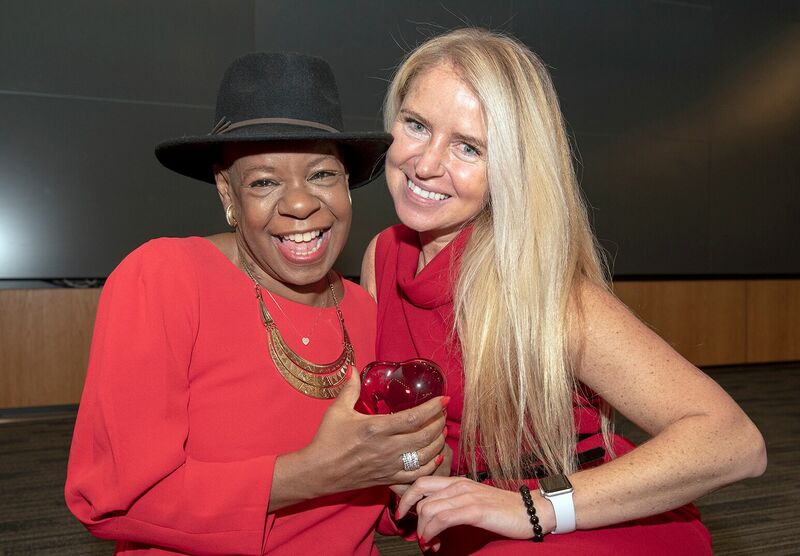 Hundreds of Northwell Health staff members wearing red gather for the annual “Go Red for Women” celebration to kick off American Heart Month.